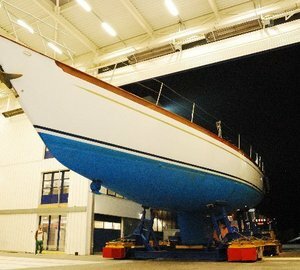 Having arrived at Holland Jachtbouw in November 2012, charter yacht Boo Too is currently undergoing a major refit, with completion scheduled for May 2013. 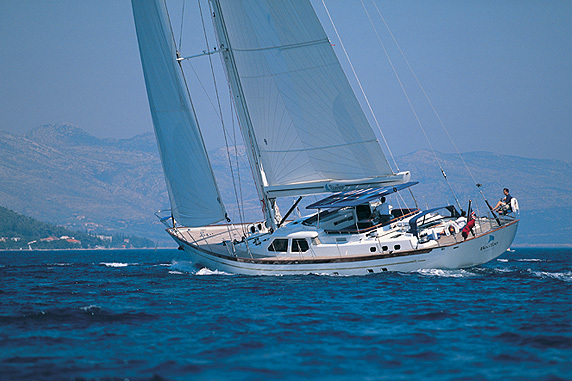 Launched by the prominent UK builder Pendennis in 2002, the 90ft sailing yacht Boo Too is a true performance world cruiser, designed by award winning Ron Holland. 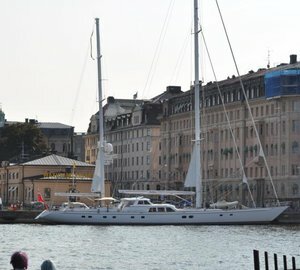 Luxury yacht Boo Too will be updated with a new main engine, full service and upgrade to the engine room and equipment, full re-model of the master cabin and conversion of the study to an extra guest cabin with new head. 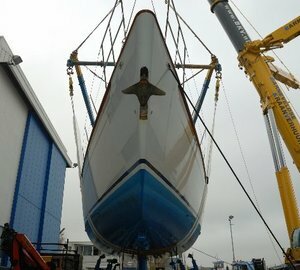 The steering helm will also be relocated, and her hull, mast and rigging will be serviced and re-painted. The finishing touch will be complete replacement of the soft furnishings, inside and out. 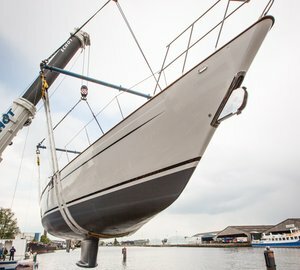 Please contact CharterWorld - the luxury yacht charter specialist - for more on superyacht news item "Major refit for 90ft Pendennis sailing yacht BOO TOO at Holland Jachtbouw".